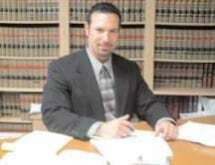 Ronald E. Kaufman is the founding attorney of the Law Offices of Ronald E. Kaufman. Mr. Kaufman received his Bachelors Degree from Florida Atlantic University in Boca Raton, Florida. He received his Juris Doctorate from the University Of Miami School Of Law in Coral Gables, Florida. Mr. Kaufman is admitted to practice in all state courts of Florida, as well as in the Federal Courts for the Southern, Middle and Northern Districts of Florida. In addition to being admitted throughout the State of Florida, Mr. Kaufman is admitted to practice law in the great state of New York. Mr. Kaufman is a member of The Florida State Bar, the New York State Bar, the Broward County Bar Association, the Dade County Bar Association, the Broward County Construction Lawyer's Association and the American Bar Association. Mr. Kaufman is also one of the only attorneys in the Miami metro area certified in construction law by the Florida State Bar Association.